This project began as a 16 day composition for a group show at 55 Sydenham Rd Marrickville NSW 2204 AU (R.I.P). 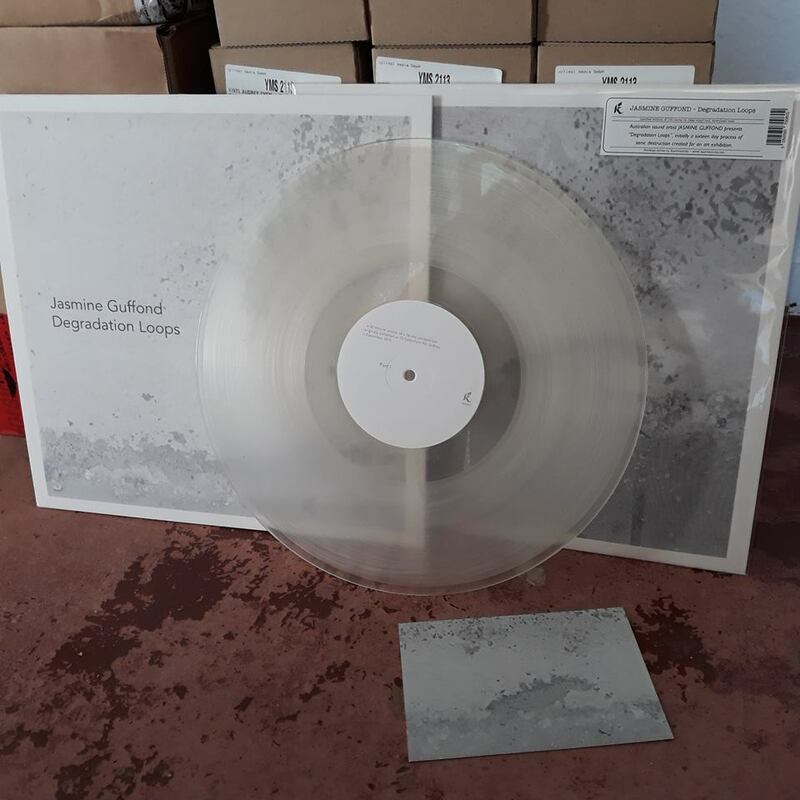 Here is a limited edition vinyl version on Karlrecords. Artwork by Katherina Pling. What sound does a stone make? Earlier this year I was invited to make a remix from a library of sounds of stones. I was fascinated to find out about the Feßmann family legacy and dedication to extracting sound from stones. All materials contain resonant frequencies which often go unheard but in this case they have made the stones sing! 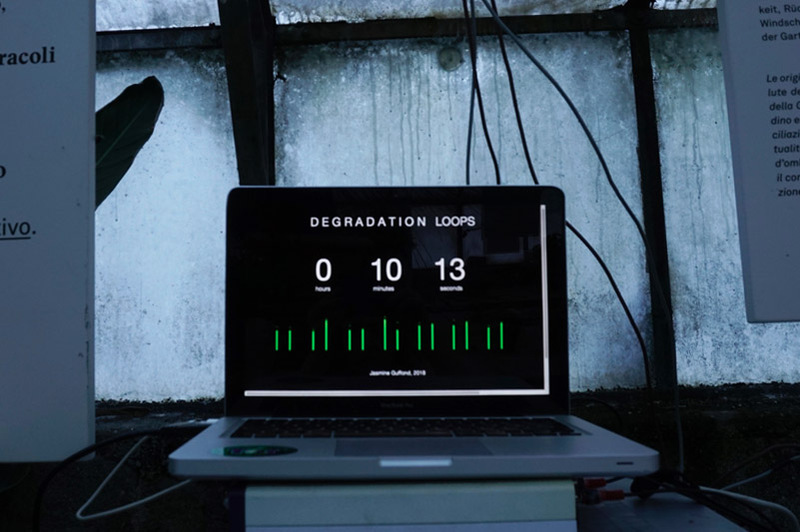 SEPTEMBER 27th - DEGRADTION LOOPS sound installation. forrest from Jasmine Guffond on Vimeo. 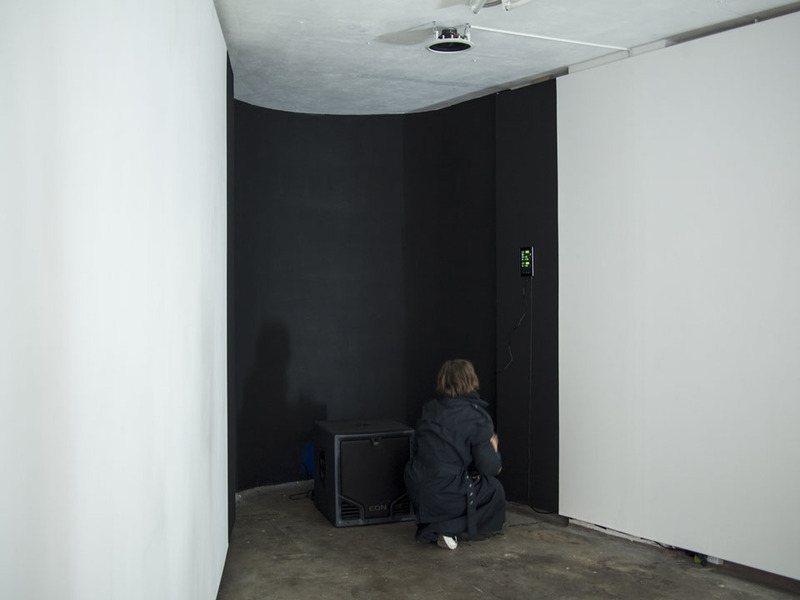 Sound Installation, as part of The Watched Exhibition at Murray Art Museum Albury. 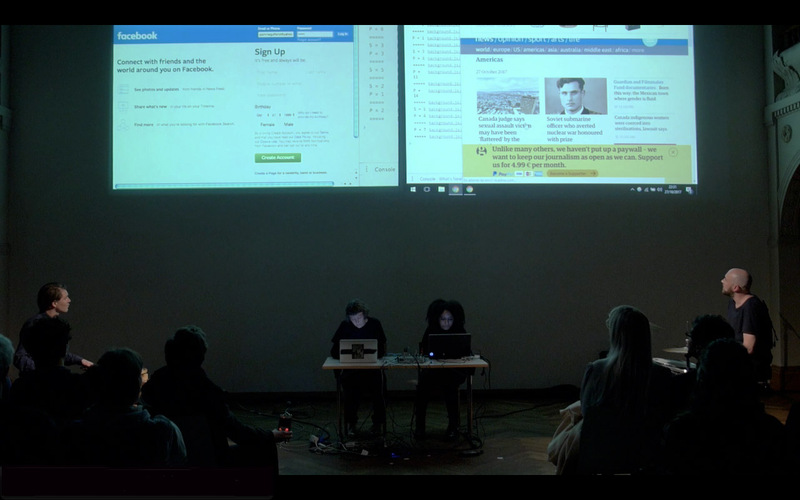 The Watched group exhibition considers the impact of contemporary forms of surveillance on daily life and Sonic Profiles reflects on the extent to which we watch each other via social media platforms. 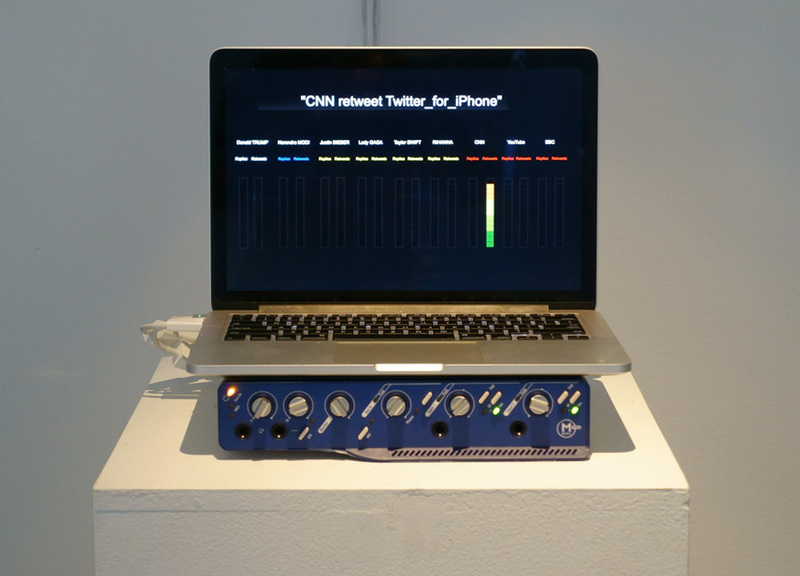 Sonic Profiles sonifies the meta-data from the twitter accounts of well-known public entities: Donald Trump, Narendra Modi, Justin Bieber, Rihanna, Taylor Swift, Rihanna, Lady Gaga, YouTube, CNN and the BBC. 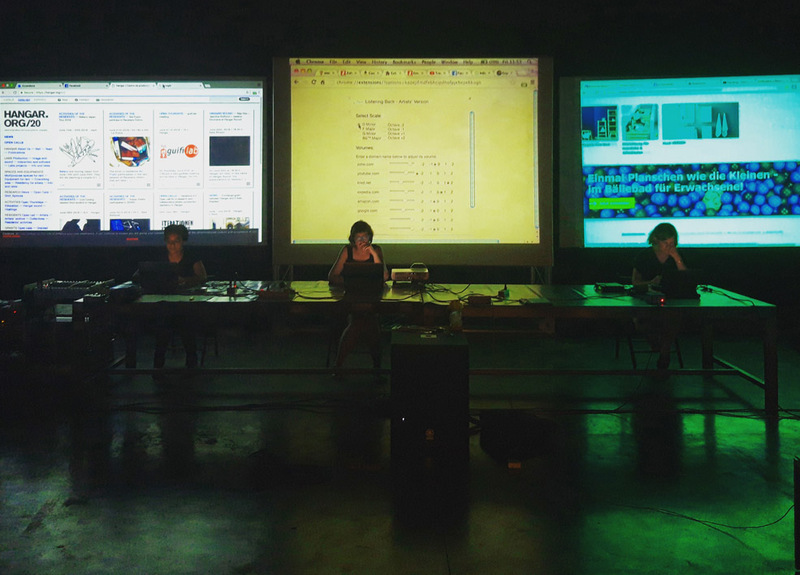 By translating twitter meta-data into sound in real time, the work questions what it means, via the logic of data extraction, to be reduced to streams of data. How within contemporary online surveillance systems, human bodies are abstracted into series of discrete data flows that are then reassembled to create specific ‘profiles’ of the subjects of such surveillance - our data selves. 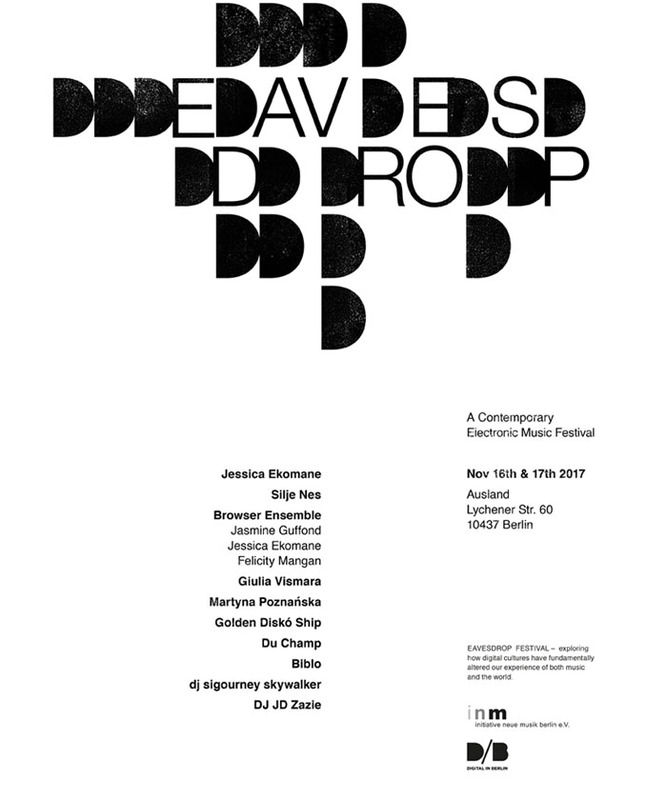 EAVESDROP presents outstanding Berlin-based and international examples of contemporary electronic music that are abstract, experimental and emotionally affecting. 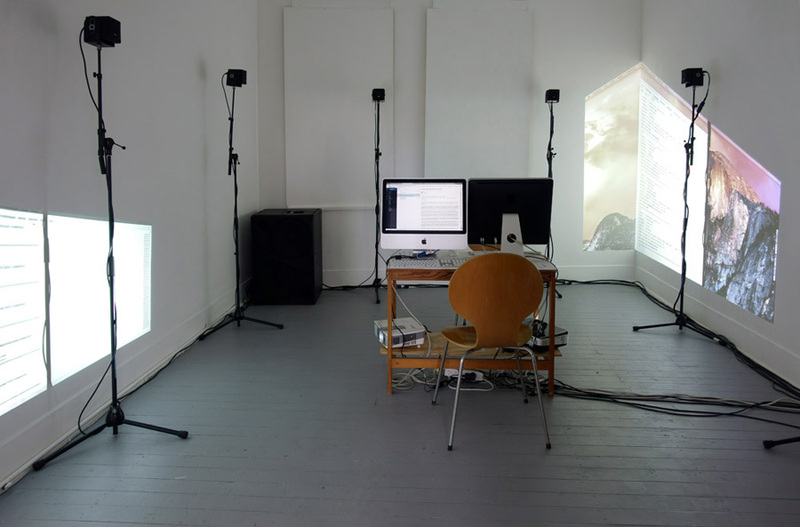 EAVESDROP speaks to our contemporary sonic environments whether natural, architectural or virtual. 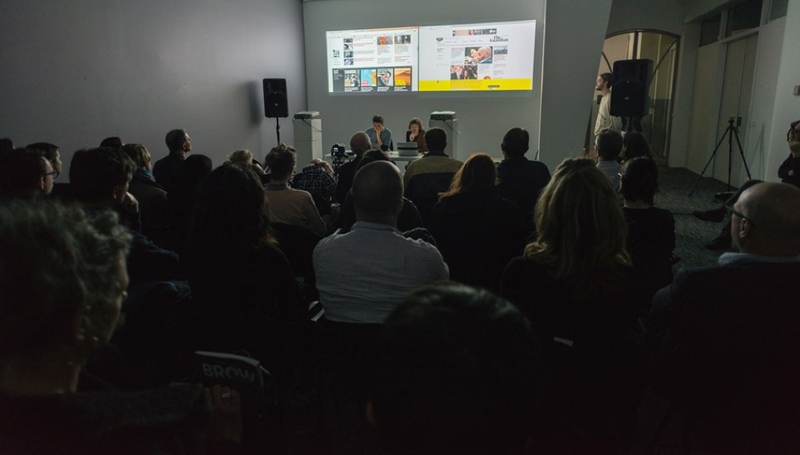 The festival challenges and invites listeners to consider, from multiple perspectives, new social and technical developments in international music culture. 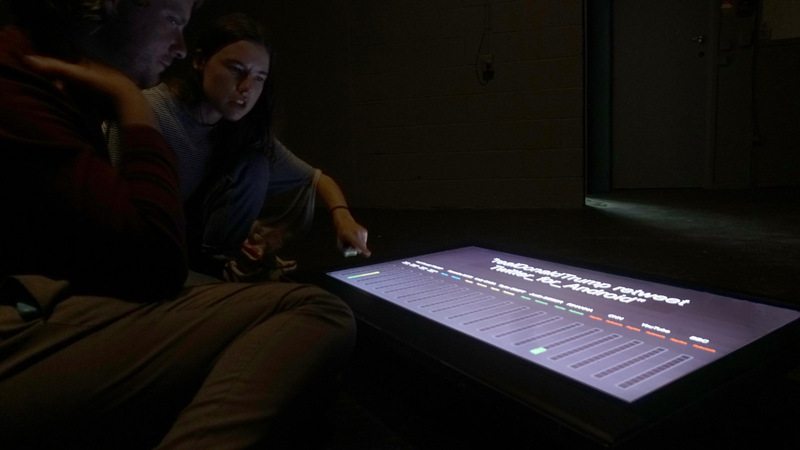 It explores how digital and online cultures have fundamentally altered how we perceive and experience both music and hte world. 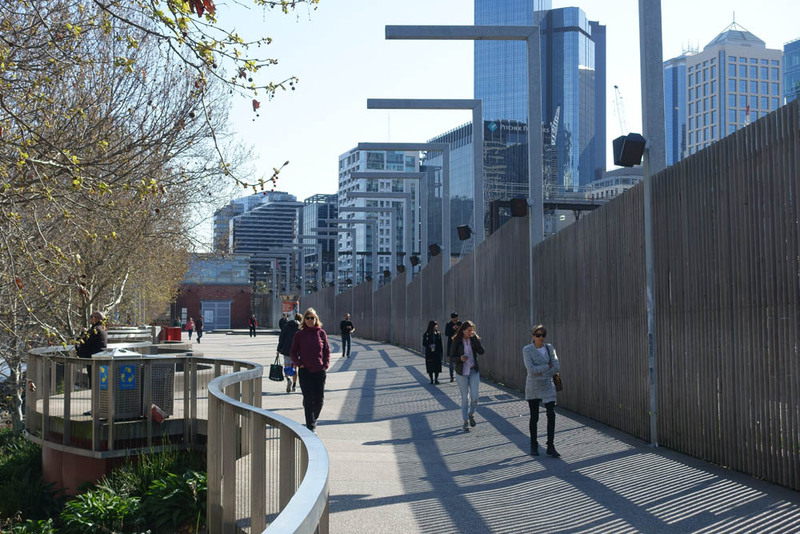 What does it mean to have our daily footsteps counted in the urban terrain of a ‘smart city’? The City of Melbourne’s 24-hour pedestrian counting system measures the daily activity of pedestrians. Updated hourly, the data captured by thirty-five of the forty sensors installed around Melbourne’s CBD is sonified in real time and played back over the Signal 24 channel sound system. 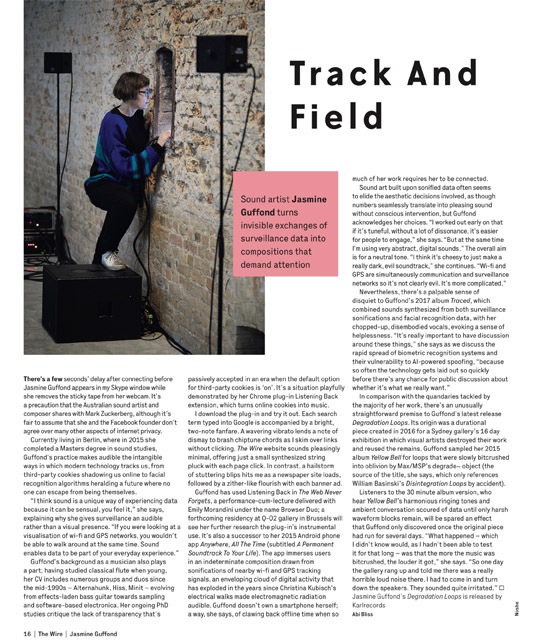 Boomkat review for my new album - In Traced, Guffond takes the textural and spatially sensitive ambient aesthetics of her previous LP, the acclaimed Yellow Bell, into palpably more paranoid and unnerving headspaces, using her filigree appreciation of electro-acoustic dynamics to convey that feeling with a subtlety which will surely resonate with anyone aware of digital surveillance technology’s transition from peripheral creep to a near ubiquitous presence. 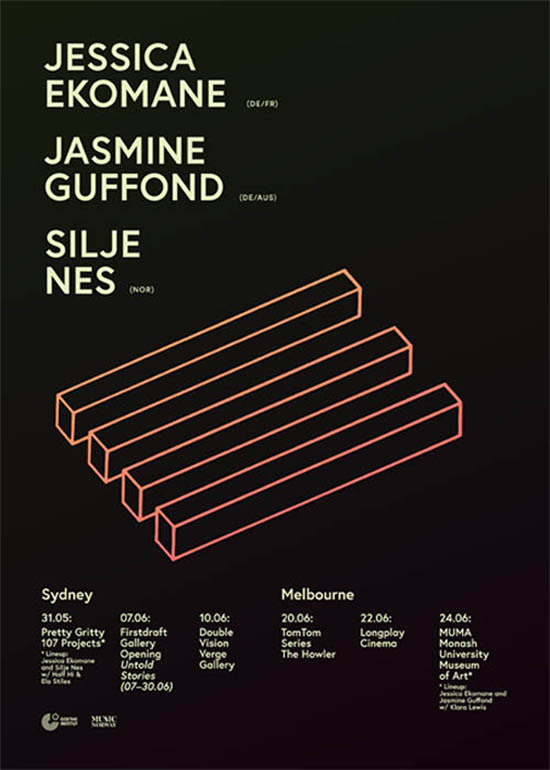 JUNE - On tour in Sydney and Melbourne with Jessica Ekomane and Silje Nes. 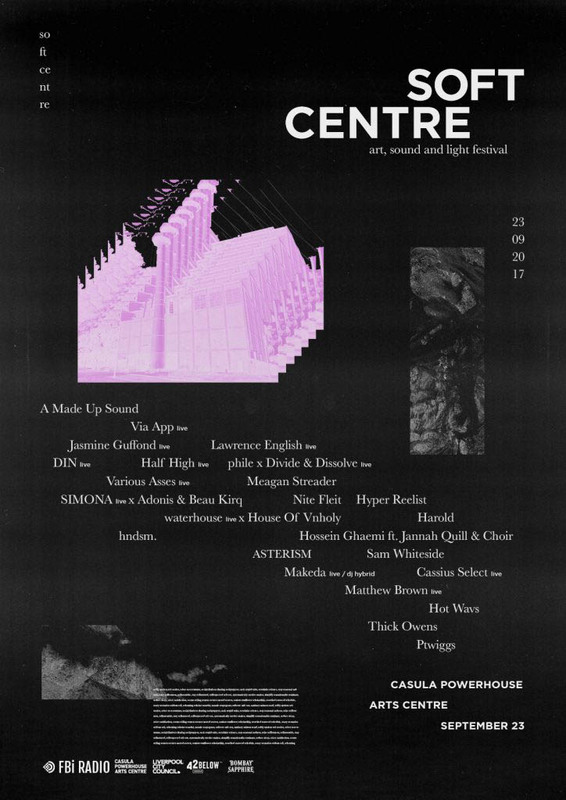 MAY 10th - BROWSER DUO live performance at Black Box, UNSWAD, Sydney. 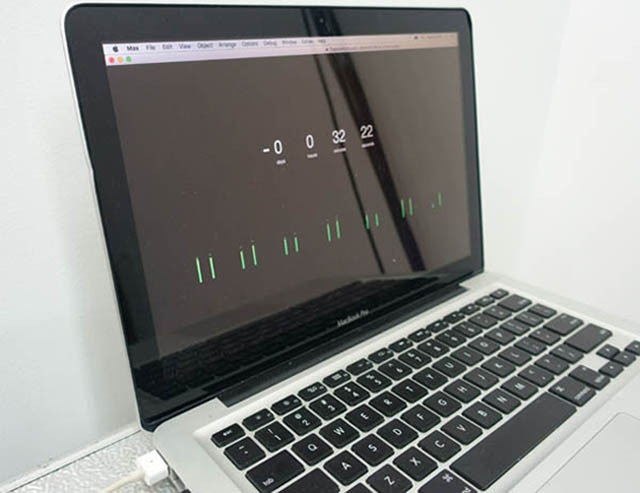 Sonifying internet tracking cookies in real time with the Listening Back Chrome Browser Extension. 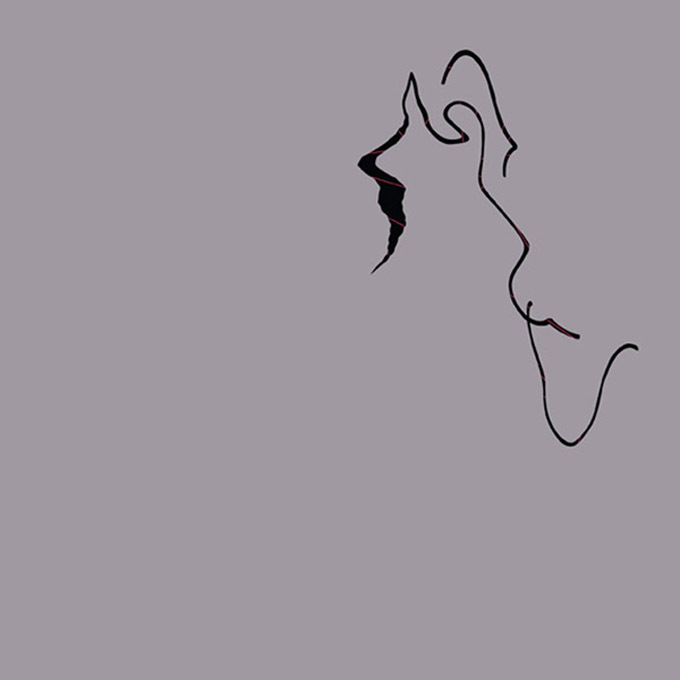 A 16 day composition that gradually and completely bit crushes my 2015 Yellow Bell album. 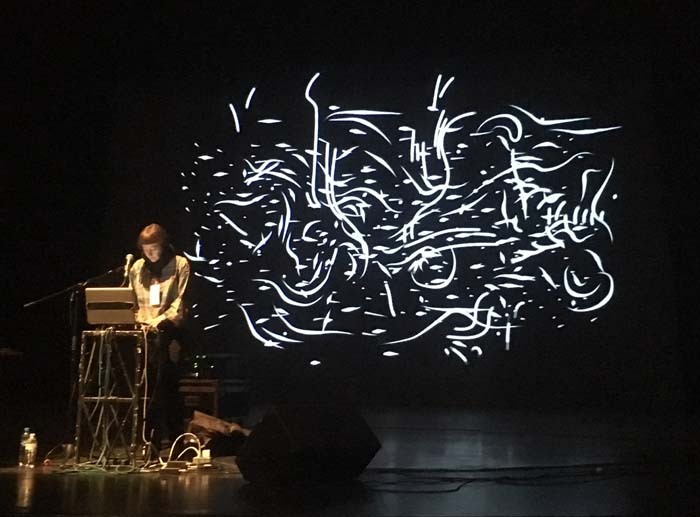 A process of sonic destruction unfolds in response to a group show where visual artists Alex Gawronski and Jelena Telecki destroy and reassemble their work, to create new work, and question the dominance of commercial imperatives within art. NOVEMBER - Jasmine Guffond / Plurals split release on Beartown Records. 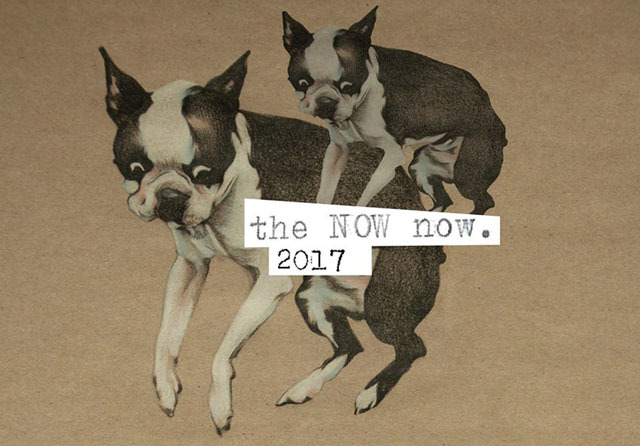 A limited edition CDR release of live concert recordings in Istanbul and Berlin. 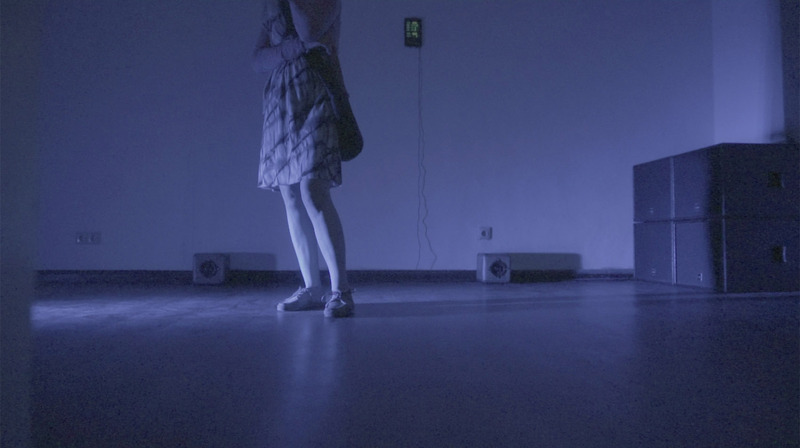 Composition for WiFi, GPS, Architecture, Furniture and People, explores sound as a method of socio-political investigation. Working with the properties of sound as a vibrational force WiFi and GPS networks are sonified into sub-frequencies specifically tuned to the room, thereby causing architecture and furniture to vibrate. By translating humanly imperceptible networks into the medium of sonic vibration, we are reminded that every object and every being, contains resonate frequencies that can be activated through sound. Simultaneously used for global communication and surveillance, WiFi and GPS infrastructures inform our everyday experience by expanding our urban boundaries to the geopolitical and information channels of the world. Providing an audible presence for these otherwise intangible infrastructures allows for a direct sensory experience that encourages listening as a mode of examination. 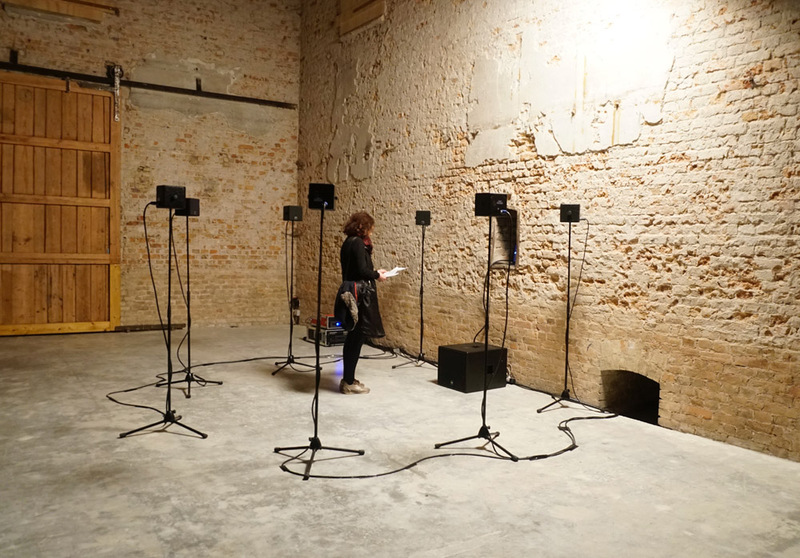 An initiative of ZONA DYNAMIC, the FILTER - Sound Art Series is an edition of temporary collaborations between 2-3 artists focusing on conceptual, context-reflective artworks that intervene in temporary spaces. 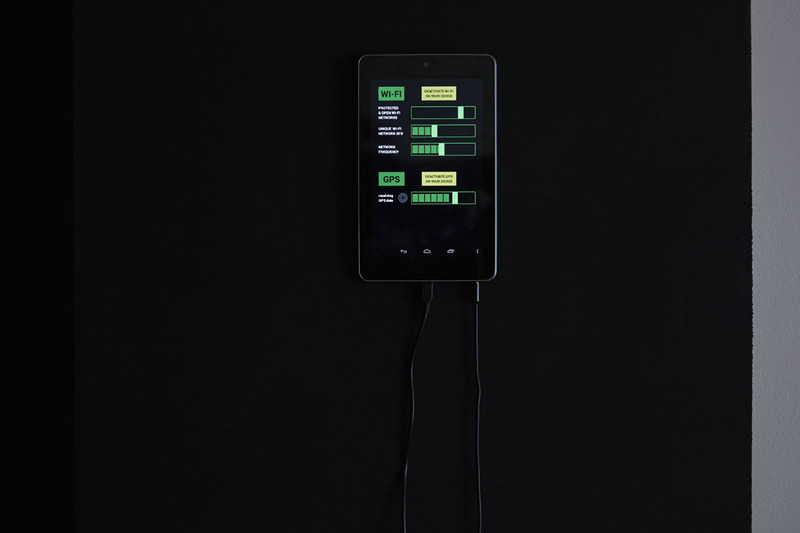 FILTER V is an experiment dealing with the power dynamics inherent to surveillance states across both physical and digital domains. 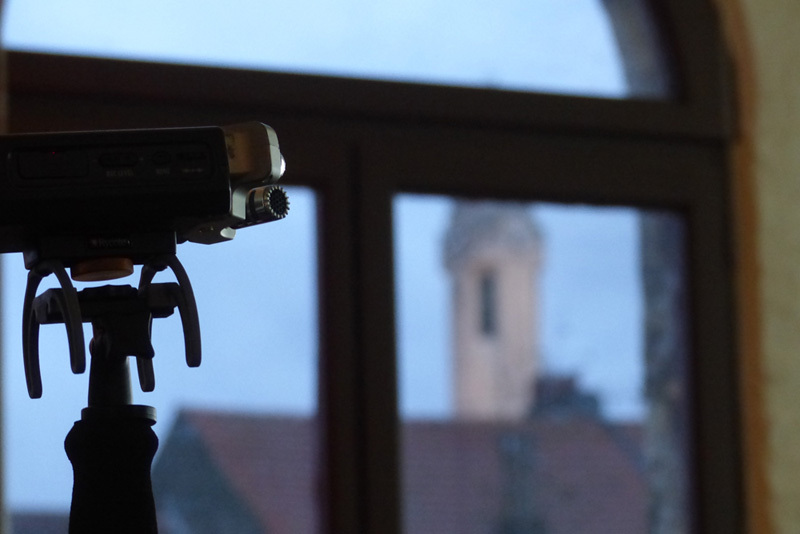 Focusing on the intangibility of monitoring and capture infrastructures embedded within the networks we connect to and communicate with everyday - how does this affect collective movement? 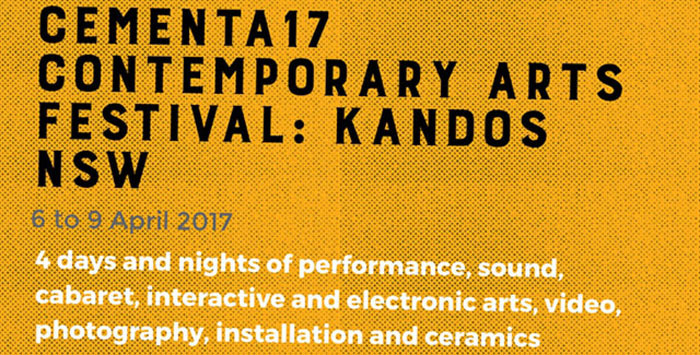 Realised as a participative performance and sound installation in collaboration with Liat Berdugo, Eliza Goldox and Holger Heissmeyer. In the guise of aerobic instructions, collective movement is tracked and the body is used as a point of analysis. 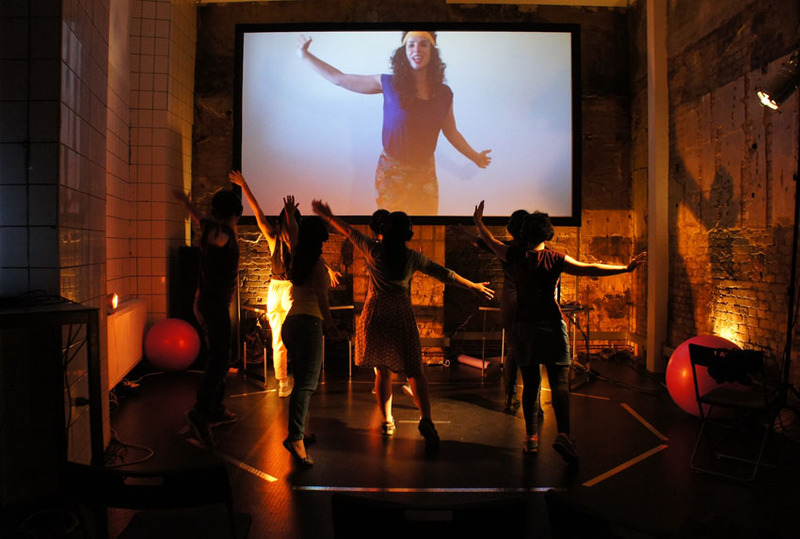 Liat Berdugo's Unpatentable Multitouch Aerobics incorporates everyday gestures such as zooming, swiping and flicking, that our technological devices have taught us to do, commenting on the corporate reach into our homes, psyches and bodies. The captured data is translated into sonic rhythms, enabling a listening mode of examination and creating an ongoing ritual and soundscape. 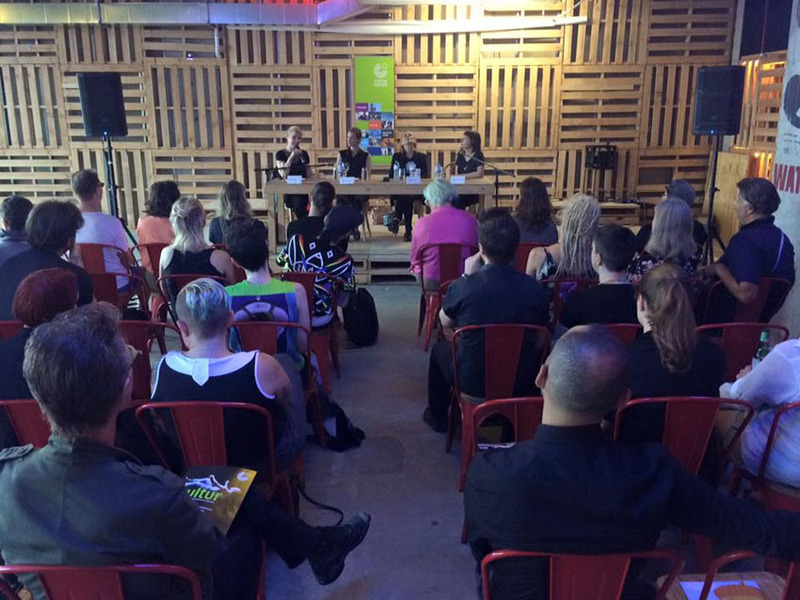 Panel discussion with Gudrun Gut, Brooke Olsen, Gail Priest about visibility of women in music and the arts. Hosted by the Goethe Institute. 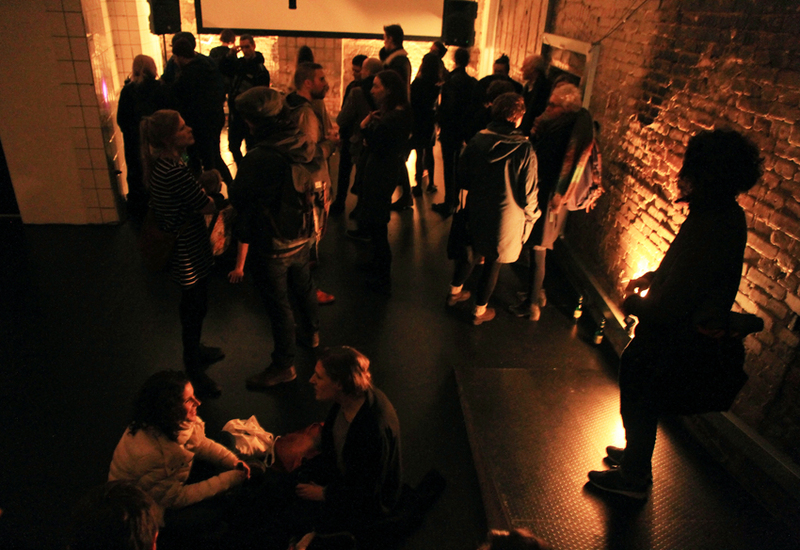 “Sound, Art and Technology-poiesis” is an artistic praxis course at UNI.K – Studio for Sound Art and Sound Research, Faculty of Music, Berlin University of the Arts. 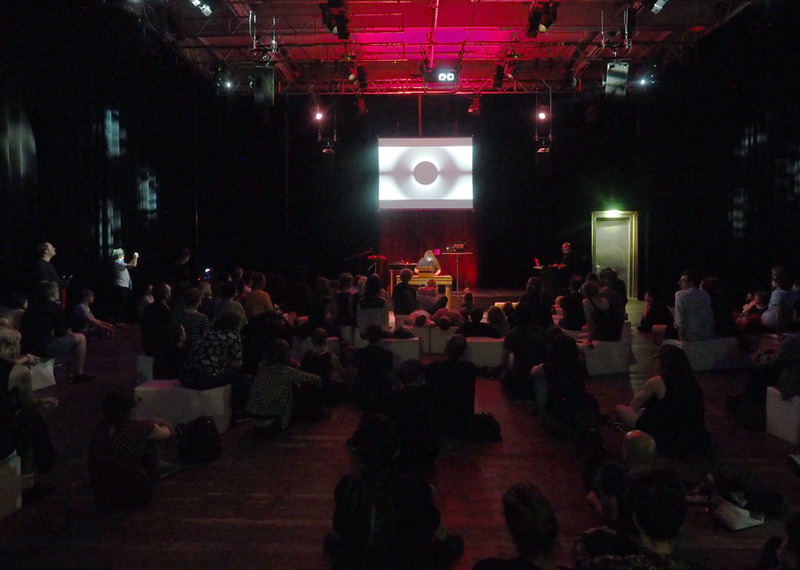 Led by Daisuke Ishida and sound artist Jasmine Guffond during the winter semester 2015/2016. 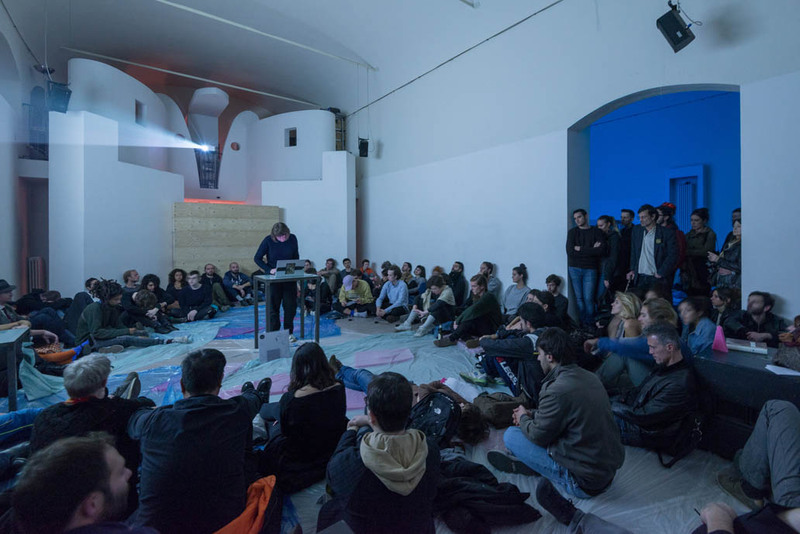 Participants were encouraged to create a work investigating contemporary personal, social and political issues with a special focus on the intangibility of surveillance in the digital domain, through the use of the similarly ephemeral medium of sound. Interview with Stray Landings about music and recent projects.